a wonderful sword definitley worth the money has to be expected from cold steel. If you are looking for a good sword you should look no further. My husband has been a weapons collector for many years and this is one of his favorite swords. This sword is very sharp and has a beautiful leather sheath and it was definitley bigger than what I imagined. I recommend this sword to any true warrior, a must buy. thank you true swords. I just got this sword a couple of day's ago and i must say I love it. It is a vary powerfull weapon. It will chop through just about anything you put in front of it. Once again cold steel has made a great product and True Swords is the only places to go to buy Cold Steel weapons. 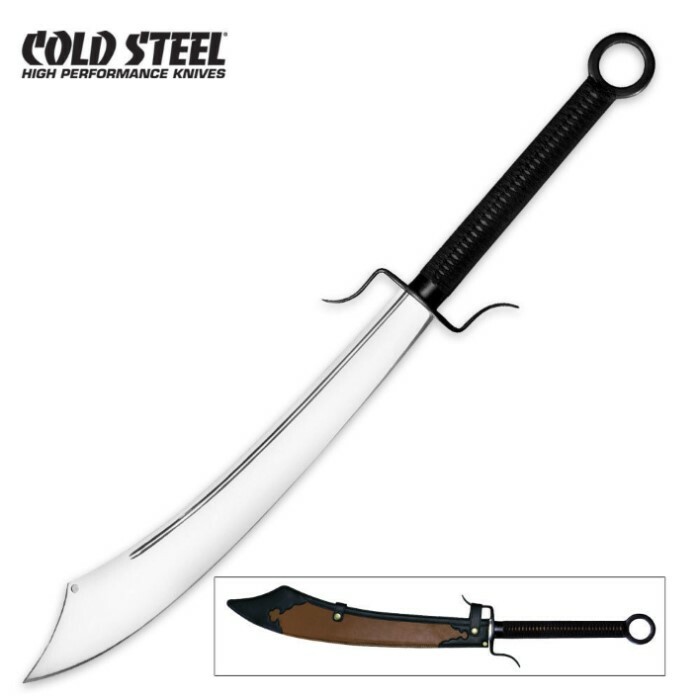 I highly recommend this sword if you are looking to buy it.